Step away from that smart phone. Eschew that cheeseburger. Junk those jeans. If you think that giving up your nightly tub-soak for showers or buying a low-flush toilet has cut your environmental footprint down to responsible size, think again. The sad verdict is in, from a new book by environmental sleuth Stephen Leahy. 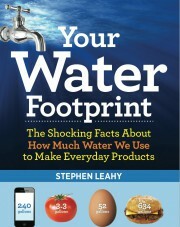 Its title, Your Water Footprint: The Shocking Facts About How Much Water We Use to Make Everyday Products says it all. If, for instance, you’re munching your burger while chatting on your cell and wearing jeans, you’ve just used up about 11,000 litres of water we’ll never get back, by Leahy’s painstaking calculation. The jeans? We won’t even go there. Leahy, an award-winning Ontario environmental journalist who roams to the ends of the earth to report on environmental dangers, makes it clear that the most innocent-seeming actions and products are far from water-neutral. 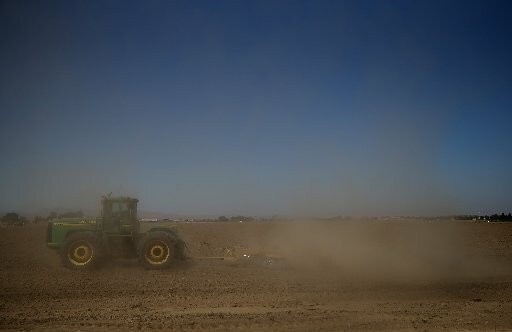 While billions of people on the planet face drought and water shortages, others in wealthy countries unwittingly splash the stuff around on goods that could be made or substituted for more frugally. That’s important, Leahy points out, because while two-thirds of our “blue planet” is covered in water, only a tiny portion of it is drinkable. And when it’s gone it’s gone. The huge amount of vital water used up every day to produce food, energy, goods and rides of all sorts is staggering. But the good news, says Leahy, is that we aren’t helpless in cutting the world’s water use. We can reduce our car, airplane and gadget use and dial back on power generation that drains huge quantities of water to produce. Also fossil fuels that siphon off way more water than the oil that’s produced – not to mention even worse biofuels with a water footprint more than 3,000 times bigger than crude oil! But in the meantime, Leahy says, small stuff also helps. Apart from the obvious – don’t run the water while cleaning your teeth – here are some handy eco-tips to make you and the planet feel better. If you have a garden, attach a rain barrel to your downspouts for watering. Sweep your walkways instead of hosing. Take your car to a car-wash instead of doing it yourself. They use recycled water. Speed dial 311 when you see any public water leak. Go retro. With polyester you’ll gain 80s cred and save on the flood of water it takes to grow more chic fabrics like cotton and wool. If you’re over 50, dust off that leisure suit. Dude, what’s not to like? This entry was posted in climate change, energy, environment, food, global warming, pollution, Water, water footprint and tagged beef, clothes, cotton, drought, electricity, Energy, Flood, food, hidden water, meat, Toronto Star, virtual water, Water, water footprint, water scarcity, water shortage by Stephen. Bookmark the permalink.